….and I use the term recipe verrrry loosely since it almost really isn’t even one. …and I only say sweltering because it has been 110 here for the last seven days straight…with no end in sight. This is such an easy drink to throw together…just throw the ingredients into the blender…turn on…viola. Simple Slushies. And the best part is that you can also throw any of your leftovers into your popsicle molds and end up with a frozen treat just an hour or so later! So if you are looking for simple ideas to stay cool and healthy this summer… this is an easy one. Some Health Benefits of Watermelon. Some Health Benefits of Strawberries. This happened less than 2 minutes after I sent my boys and their drippy sticky fingers and faces outside and off of my couch…mama’s intuition! 1. Place all ingredients into blender. Blend for 30 seconds – 1 minute until all ingredients are combined. Serve in frosty glass. 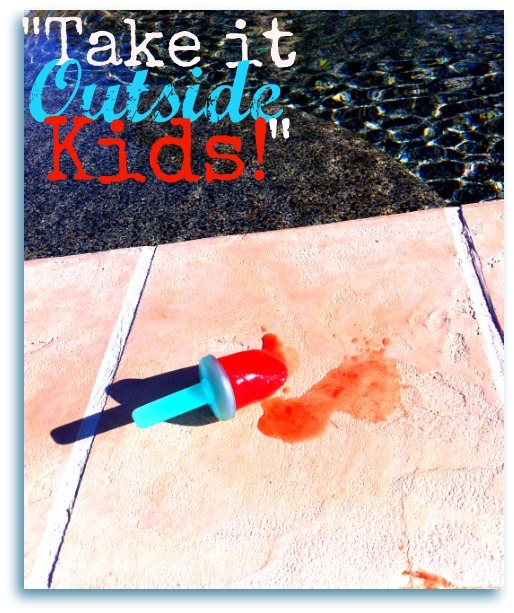 Pour remaining slushy into popsicles molds and freeze for at least 1 hour for a frozen treat. May your Fourth of July be full of glittery skies, dripping in exploding rays of lights, and squeals of laughter….from the children and from you. Does anyone have any fun activities planned for the holiday?? I think I’ll make this for my kids. I do have organic strawberries(hard to find around here). I do not like watermelon at all. Does it taste much like watermelon? This looks perfect to beat the heat! I actually bought a watermelon a few weeks ago that wasn’t that great for eating…this would have been a perfect save thought. I hope you have an incredible 4th and enjoy your family time! SO perfect for the heat! Yum yum! oh those sound so refreshing! yum! Wow, those look incredible! That photo is stunning, Kim. You know I want one of these … although I might be tempted to add tequila to mine if enjoying it while eating crabs with Mr. GFE. 😉 I think that would negate the healthiness factor though. 🙁 Anyway, thanks for this wonderful recipe and yay, for mama’s intuition! I love watermelon so this is a must try. They’re forecasting near 110 degrees tomorrow for Nashville so I may need this very soon. Shannon, you and us both! We are getting 110 degrees this week too. BLECK! 🙁 Hope you guys are staying cool and inside! Alisa, I have to laugh because I actually was thinking, while i was drinking mine, that a hint of citrus from a lemon, lime, or even an orange would have been a perfect addition. Now I am totally trying it with lime next time!! 😀 you are so smart!! This looks so refreshing! Have to make it this week. Just wanted to let you know too I love your site. My daughter and I were on an elimination diet not too long ago to see which foods we were allergic/sensitive too and I came here to find recipes to help make it go smoothly. Thanks! What a refreshing recipe! I’ve made a similar “recipe” by just pureeing watermelon. But I love your addition of strawberries. Delightful! 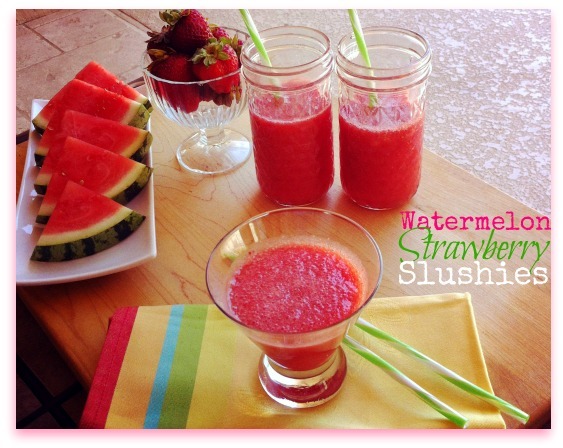 Oh my – sounds so refreshing and my favorite summer combo. I hope you had a lovely Fourth with your gorgeous family!